Javed Ahmad is a happy man. Resident of Soun Chakoo, near Akhal, deep in the rural Pulwama, Ahmad has bachelors in forestry and has taught in the government school for eight years. They are a family of teachers. His father is a head master and his elder brother is also a schoolteacher. But Ahmad resigned from government service in 2015. But 2017 harvest shall remain very special in Ahmad’s tryst with destiny. He harvested his new orchard’s first produce and marketed it successfully. In the family history, it was their quantum jump. They took the apple growing from the traditional systems to high-density and the outstanding experience has been rewarding too. 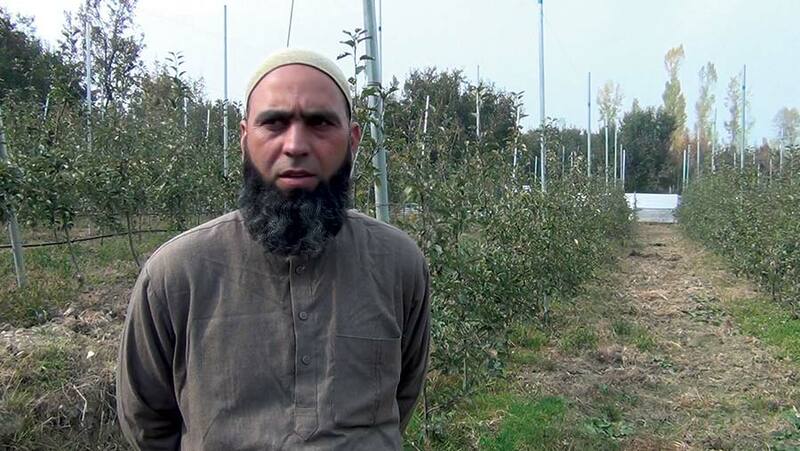 One of the progressive farmers of Rajpora belt, Ahmad said the main mover behind the orchard was their father. “We are always keen to embrace change and improvement,” Ahmad said, in his high-density orchard, separated by a zigzag wall of the tin-sheets from the traditional orchards surrounding it. It is one of the most modern apple plantations in the area. The family has been experimenting with the changes for a very long time. While they uprooted their half a century old orchard and replaced it by the high-density plants, they were experimenting in other traditional orchard by using bud grafting from the high-density varieties. This orchard was fetching us 850 boxes of apple that would sell Rs 800 a box (16 kgs) and in the very first year we sold a box for Rs 1100 to Rs 1300. “Experiment did not fail,” Ahmad said. “We got high density fruit but it retained the quality of the rootstock.” He said the only option to get the best quality apple is to replace the old plantations. “The entire crop we had in the high density orchard had a uniform size and quality unlike the traditional fruit we had for decades,” Ahmad said. “Now we are uprooting our other major orchard and planting the high density varieties.” He grows three verities in his new orchard and they have different harvesting time, starting from August and concluding in early October. “This year, I was comfortable because I sold my fruit in late August at a time when nobody was in market,” Ahmad said. 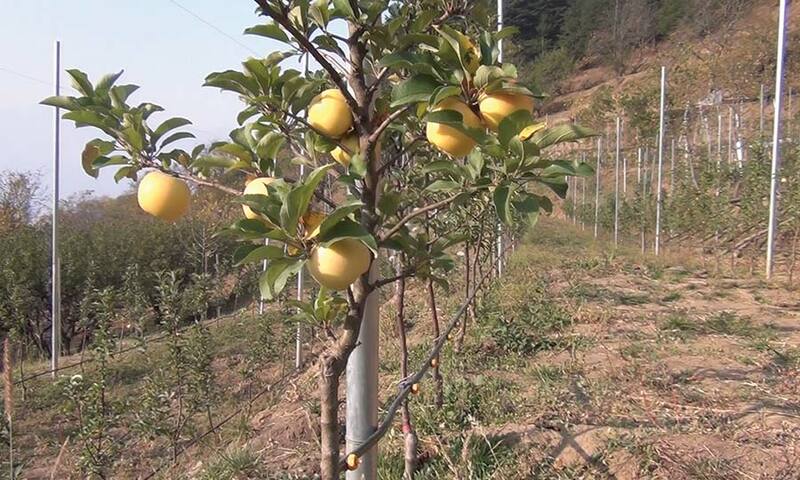 Ahmad’s orchard is significant to Kashmir’s apple history. He became the first grower from Kashmir to market his HD apple that vindicated the blueprint of policymakers that it produces more, better and fast. The first major orchard that Root2Fruit, a horticulture company in pre-harvest systems, had set up in Bamdoora, deep south of Kashmir, was axed by a mob in wake of Burhan Wani killing in the same village. The 42-kanals orchard was in the second year of harvest as the crowd was misled by some people to the orchard and most of its 7000 trees were cut down mercilessly. More than 15 months after, the Bamdoora orchard is still in ruins. But the apple dream stayed afloat. 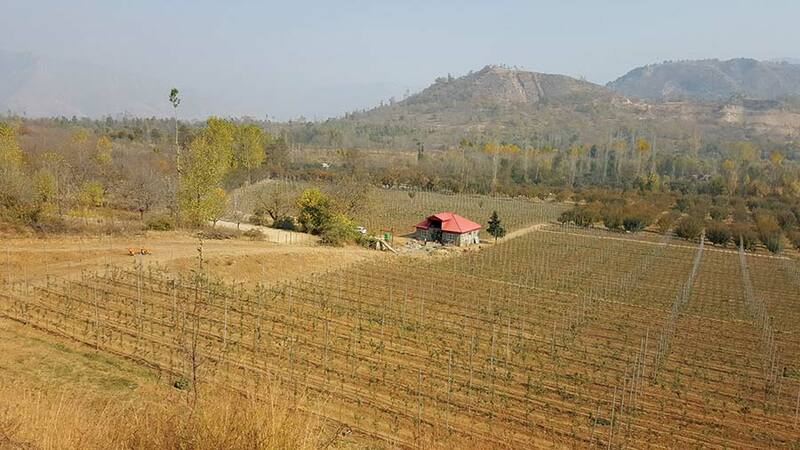 It got a new lease of life when the government announced a scheme linking farmers with the bank and the private sector to create the first series of high-density orchards across Kashmir. The scheme formally approved by the cabinet in September 2016, was finally announced by the middle of February 2017. The involvement of the private sector literally created a new record. By July 2017, 110 orchards scattered across Kashmir were up. It involved 1000 kanals of land and planting 110 thousand plants, flown from Italy and Netherlands. “Actually we did 1010 kanals this past season,” Junaid Siddiqui, who heads the pre-harvest operations in Root2Fruit. 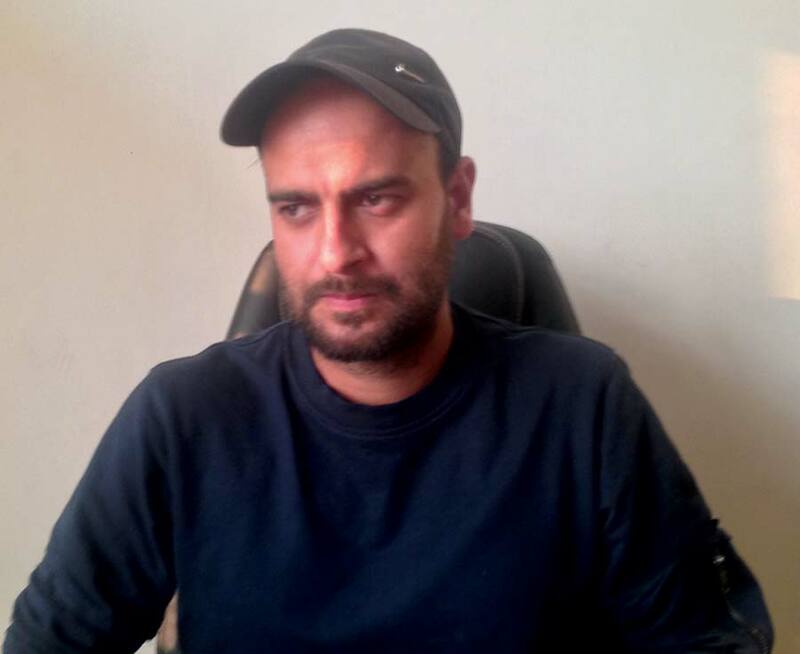 “Against our target of 1000 kanals, we did 754 kanals in which we did everything: identification of growers, design of the orchards, plant material, trellis and the drip irrigation. In balance 256 kanals, we did the trellis systems only and it belonged to the targets assigned to the horticulture department by the state government.” The company is handholding the growers for two years till the owners are trained. Right now it is planning the start of pruning operations. By July 2017, 110 orchards scattered across Kashmir were up. It involved 1000 kanals of land and planting 110 thousand plants, flown from Italy and Netherlands. The officer said that they are in the process of procuring the plant material. Once it lands in Srinagar, we will retain the import for a year and then distributed to the farming community. It essentially suggests that in 2018, the department may not be able to create any new orchard. The earlier consignment it had flown in late 2016 that was distributed to farmers in March 2017. Unlike the traditional trees, the high-density plants are narrow and tall and require a support structure of wires and posts. These orchards involves a complex system: the plants is to be accessed from abroad, the key trellis system is to be perfectly crafted to suite a terrain, the drip irrigation system is to be of high quality and for the beginners a hand-holding is fundamental till they get the technical know-how. It was precisely the reason why Root2Fruit bagged the contract. The company has the required expertise is creating the first major orchard and had imported the allied technologies from various countries along with the best practices manual. 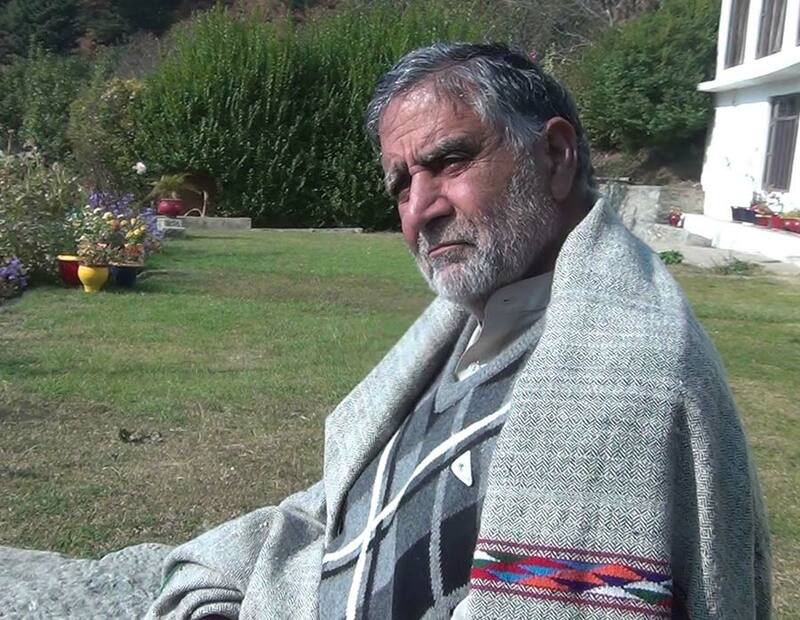 Javaid Ahmad: Kashmir apples first new history maker in his HD apple orchard. 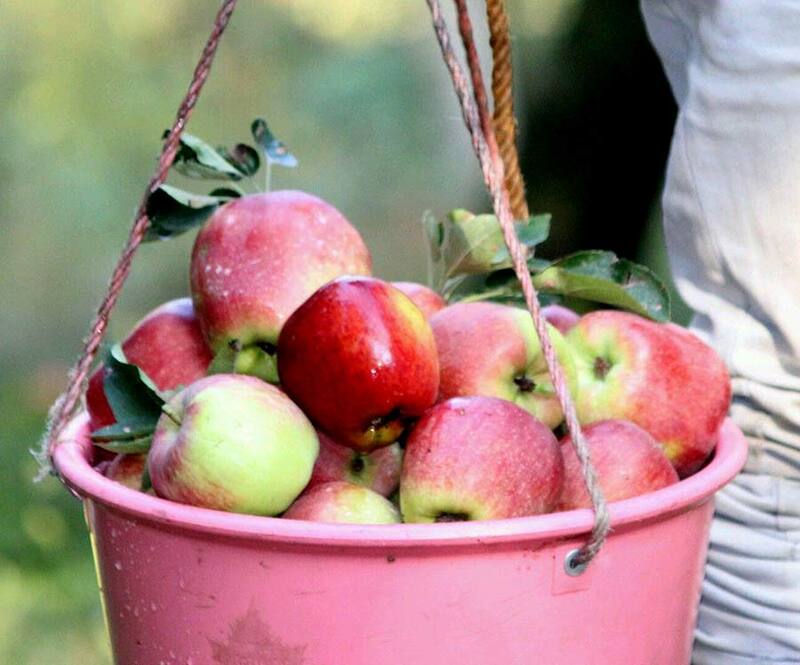 Of more than 11 lakh farming families, seven lakh – mostly in Kashmir, grow various fruits, including apple. It involves almost 3.5 million people directly into apple growing. Kashmir is India’s major apple producer that sustains an economy of Rs 5000 crore with a yearly produce of 16.88 lakh tones of apple. These advanced fruit varieties have already replaced the traditional orchards in most of the apple-growing world. Comparatively, it has less maintenance issues, has the capacity of accommodating 111 to 166 plants per kanal – compared to 20 in traditional orchards, reduces gestation from six years to not more than two years and has yield, four to six times more than the traditional orchards. Size and quality of the crop is uniform and that can gradually do away with the questionable manual grading system that has literally butchered brand Kashmir apple. Right now we have 2050 bookings for almost 300 orchards and new registrations are a daily process. Supported by a stainless steel trellis system, the rows of HD trees are separated by 10 ft. This is aimed at ensuring the shadow of one row does not impact the fruit of another row. Unlike traditional trees, these tall and wire supported narrow trees do not grow a thick leaf canopy thus permitting sunlight in and reducing the moisture content within the tree foliage. Usually the moisture is key to diseased crop. The gap of 10 ft is a global standard and all the mechanical interventions are utilising this breadth for all interventions and innovations. The trees with the gap of one meter grow up to 14 ft in height strictly using the strong support of the posts tied together by steel wires. In Kashmir, the perfect model HD apple orchard exists in the lawns of the SKUAST. It is the only orchard using the hail-net, a key component of the crop protection used across the world. Interestingly, this component was excluded by the policymakers in the scheme currently under implementation. The scheme has more than 60 per cent subsidy component. It is worth mentioning here, hail net subsidy is part of election manifesto of political parties in neighbouring Himachal Pradesh. The government is offering HD plants next season to the farmers impacted by 2014 devastating floods. By debit to the Prime Minister’s Rehabilitation Plan, the government had decided to procure seven lakh HD plants. Root2Fruit was one of the suppliers and has already handed over 90,000 rootstock. Currently these plants are being kept in the sprawling facilities of the Horticulture Department at Zainpora. Expectations are these plants would be distributed to the farmers early 2018. Almost everybody who matters in the government, in polices and bureaucracy has a HD apple orchard. Schemes apart, the HD apple is already a sort of quantum jump in Kashmir’s apple-scape. The policymakers have deliberately targeted the high worth and high value individuals who have significant influence in their respective areas and it has created a real buzz in the apple growing peasantry. This follows the locally evolved wisdom that people closer to governance structure usually take the best things home. Though with negative mind-set, this creates a positive impact. Almost everybody who matters in the government, in polices and bureaucracy has a HD apple orchard. Some having the Bulgarian varieties – the high yielding varieties in late eighties, have also replaced their orchards partly. Neither Sarfaraz nor his on Ghulam Naqshband remember their Maharaji apple orchards ever offering them any money. The particular variety is out of fashion for a long time and does not offer any money more than turnips in city markets but one of the poorest belts of Kashmir, Kangan was never told that it is Delicious and other varieties that are making money. 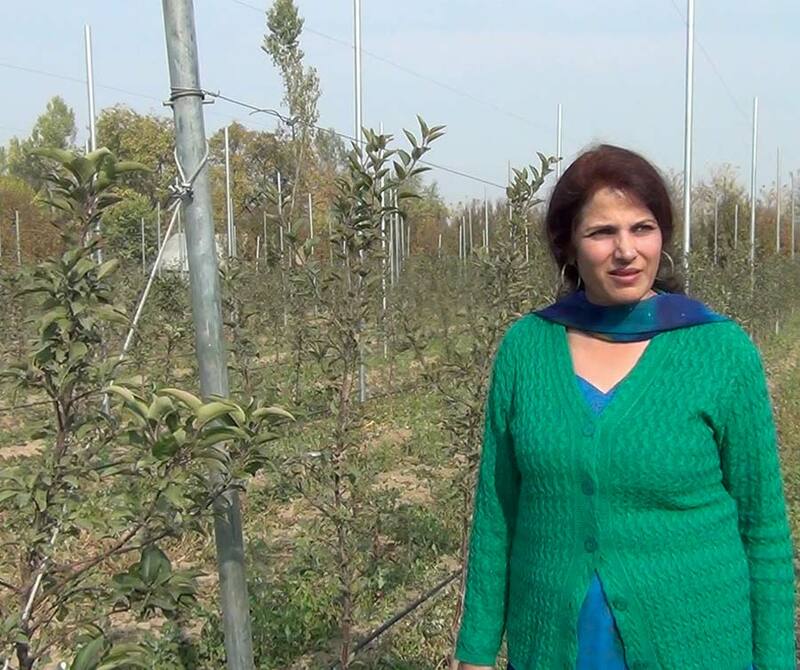 Shaheen Shahdad: The lady farmer from Srinagar who manages 100 kanal orchard in South Kashmir. After the government announced the scheme, Mians’ used the local influence to get the horticulture department put up a HD orchard on almost 10 kanls of land in March. More than two months later, in later May 2017, they got Root2Fruit lay another orchard for them. Separated by a 10-ft link road, the two orchards with the same per kanal costs lay bare the difference in implementation. “This is how systems work,” Mian Sarfaraz said. “One looks like fighting a mid summer autumn and another seems trying to jump into summer during autumn days.” The state government laid orchard looks like as if poles of rusted iron are fixed to scare crows. The one implemented by the private company has sparking posts and a neat layout. In greenfield projects and replantation schemes, mortality is unavoidable. Generally seven per cent mortality is globally accepted to be the norm. Mortality has been witnessed in the HD plants as well. However, what makes difference is that while the private company involved in the plantations is replacing every single plant that dies, growers like Mians’ said they have not got any replacement for the plants, which did not grow. Mian Sarfaraz Ahmad is doing away with Maharaji variety after 50 years. Almost everybody knows that most of the women in the villages work in fields. But nobody knows a city lady, who is perhaps the most progressive woman farmer of Kashmir. Shaheen Shadad drives to her 100-kanal apple farm in Arihal Pulwama daily. She employees 10-regular employees and has created a huge set up for pre-harvest and post-harvest of a diverse range of crop she crows in the fenced estate. Kashmir grows apple on nearly 2.89 million kanals of land. So far, not more than 2000 kanals have witnessed plant replacement. Planted in May, crop in October but experts discourage harvest for initial two years. But the crisis that the quantum jump is facing is that it has not triggered a massive appetite for involvement at the implementation level. Policymakers expected that replacing the aged orchards by new high yielding imported varieties will lead to the rise of hundreds of companies that will acquire technology and go to the fields and implement. Kashmir grows apple on nearly 2.89 million kanals of land. So far, not more than 2000 kanals have witnessed plant replacement. Officials said there are quite a few players who have some expertise in different operations of the HD apple orchard making. “As soon as the market starts getting the new produce, the appetite will be visible,” one senior official said. “Right now we are busy in creating demonstration orchards in various areas.” Policymakers see the re-plantations emerging as a major peripheral agriculture linked service sector by 2021. It includes nursery owners as well.